Post Placement Support webinar: Is it just a contact call or are we gathering real intelligence ? Post Placement Support (PPS) is a great way of gathering intelligence that can drive a strong plan to ensure job seekers maximise their sustainable employment opportunity. This task should not be a “tick a box” exercise, it is a critical component to ensure we are identifying any red flags that exist within early stages of employment and act upon them accordingly. If performed correctly, PPS will be seen as a genuine value add to your employers customer service experience and will provide a support mechanism for the new employee as they enter into a new environment. Transparency and Clarity – Is the Employer / Employee clear on the benefits of spending the time to answer these questions? 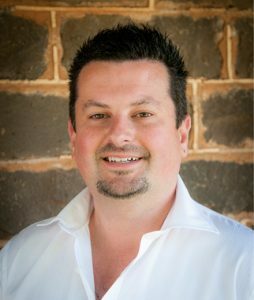 Matt Luttrell has over 15 years’ management experience that includes 6 years managing hotels in Melbourne and Geelong and a decade in employment services. Within employment services Matt started his journey in recruitment and developed into senior management positions where he developed an extensive network and is well regarded for building key stakeholder relationships within the industry. Matt lists his strengths as integrity, honesty and accuracy, all of which are critical components when building and maintaining relationships with key stakeholders.